Problems resulting from inadequate water treatment often escape detection through routine monitoring. 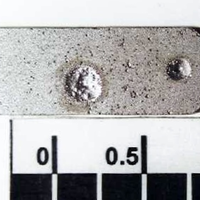 The consequences of corrosion are not immediate; however, corrosion is irreversible and uncontrolled corrosion can have a catastrophic effect on system reliability. AWTC’s water treatment professionals will work to ensure that the facility operators and the water treatment vendor work together to maximize the life of critical equipment.